This has been a dream come true for me. I am nearly 45 and have had no dancing. I got a chance to live a dream - find out I had a talent I've never had. I've had a blast, and I thank ABC and even you mean judges. I thank you. I had a blast (blows the judges a kiss). And this is a great team of people (turns to her fellow dancers), I love you all. Thank you. Oh, I know my father, Jose Fernandez, he died in 1989, he lived a little for the last two weeks, and I thank you so much for the opportunity. Any woman - there are no desperate housewives out there - we can do anything at any age. Everything is possible! I'm proof of it. Go for it! Be BOLD! "Dancing With the Stars" and her philosophy on winning and losing. Listen to Giselle's farewell full length (1min 45sec) or edited (46sec) in RealMedia format. 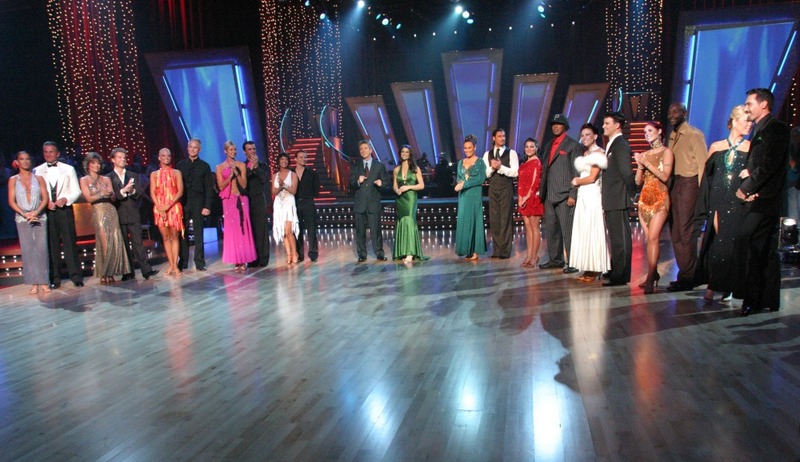 Copyright © 2006 ABC "Dancing with the Stars"